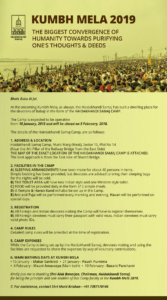 We would like to invite you to the international Haidakhandi Gurupurnima gathering at the Center of Unity, Schweibenalp. Gurupurnima is celebrated in India with the full moon in July. It is dedicated to inner guidance, and manifested as an external teacher to show us the way out of the darkness into the light. With the blessings of Sri Babaji, Sri Muniraji and the Divine Mother we will celebrate with old and new devotees from all over the world for five days, with aarti’s and puja’s (rituals), yagnas (fire ceremonies) and bhajans (singing of devotional songs). By bringing together and exchanging our stories, experiences and memories (satsang), the Haidakhan family is being realigned and strengthened. At the same time Gurupurnima is a time of purification, and it strengthens our ability to receive inner guidance from the guru in our heart. The love and direct guidance of Babaji is palpable. The powerful environment of Schweibenalp supports our spiritual practice: diving into the river Giessbach, with its source in the mountains, cascading down into the huge waterfall directly behind the house, into the crystal clear Lake Brienz. And there will also be time for hiking in the pure air of the mountains and in the silence of nature. We also invite karma yoga (selfless action). With the minimum of one hour of karma yoga per person per day, we can provide the comfort of all visitors and the entire Haidakhan family! 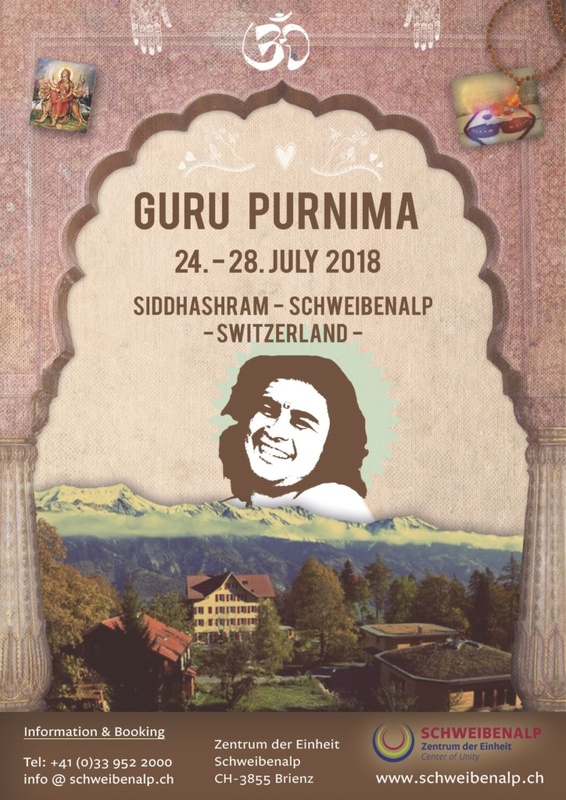 In addition we would like to announce that the week before Guru Purnima, 19-24 July 2018, the international Jai HO – Next Generation Gathering will also be held at Schweibenalp. This entry was posted in CELEBRATION, EUROPE, EVENT, GURU PURNIMA, SWITZERLAND, WORLD and tagged Gurupurnima, Sundar, Switzerland. Bookmark the permalink.